Nobody ever suspects what a day might bring. 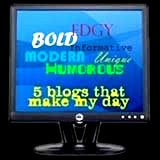 I discovered this morning that I have been honoured with a 'Five Blogs That Make My Day' award. The Texican nominated me; it has, so to speak, quite made my day. When I had at last picked myself up off the floor I called Mater to let her know. Or perhaps it was the other way around; nevertheless, both were as pleased as I was. 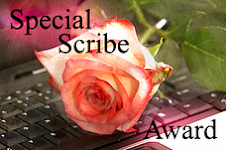 I will go forth shortly and nominate some of my own favourite blogs for this particular award. That must have made your day to get a "You made my day" kind of award. Jaime, thank you! I'm so proud ;) It did make me very happy. Congratulations. I'm new to your blog, but from what I see, I'd say you deserve this kudo. Way to go! San, thank you for your thoughtful comment. 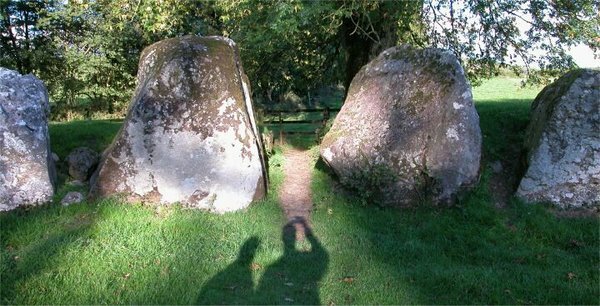 I enjoy your blog immensely- it's always a good read. An excellent choice for the award. You consistently write entertaining and enlightening pieces. I always try to time my reading of your blog for when I am quiet enough in my mind to savor it. Beth, thank you- that means a lot, especially coming from somebody whose blog I've been reading and truly enjoying for a long time now- yours was one of the first blogs I ever read! That's wonderful! And a well-deserved honor. What a nice way to go into the weekend.